Catawba Regional recently assumed the Revolving loan Fund (RLF) loan program from Pee Dee Regional Council of Governments and added Fairfield and Richland counties to the RLF lending territory. 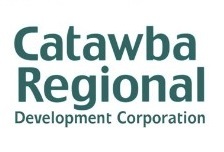 Catawba Regional now serves 26 counties in South Carolina. RLF funds from $50,000 – $300,000 are available to businesses located in: Aiken, Allendale, Bamberg, Barnwell, Beaufort, Calhoun, Chester, Chesterfield, Clarendon, Colleton, Darlington, Dillon, Fairfield, Florence, Hampton, Jasper, Kershaw, Lancaster, Lee, Marion, Marlboro, Orangeburg, Richland, Sumter, Union, and York. These funds can be used in conjunction with bank financing. The RLF can fund as much as 67% of the eligible project costs with board approval. A below market interest rate and a negotiable term can significantly lower overall debt service. Call Randy Pellisero at (803)327-9041 for more information!